A good role can make an actor’s career and 2018 featured some stellar performances by six up-and-coming kdrama actors. In every case, the role wasn’t their first or even one they first attracted attention in, but excellent 2018 performances prompted me to research their CV and re-watch previous dramas, just to see what I missed. That led to this list of six young actors that shone in 2018. 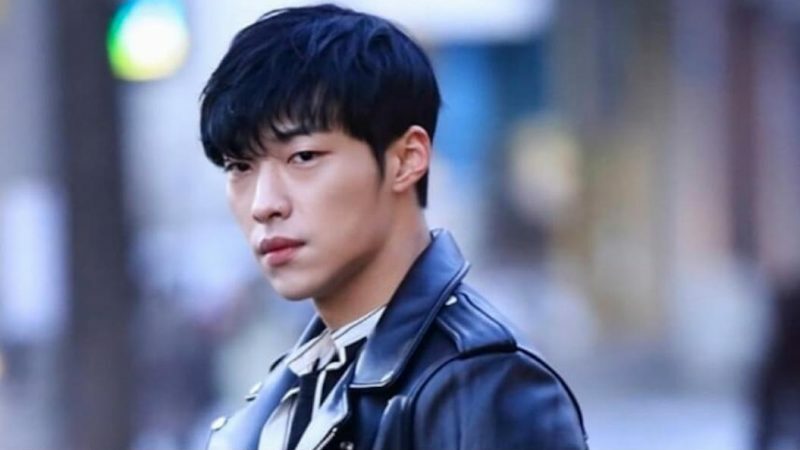 Woo Do Hwan has worked in Dramaland for seven years, but it wasn’t until his role as a cult spy in Save Me that he demonstrated star potential and not until he played the morally adrift Kwon Si Hyun in Tempted, that he aced a complex, subtly layered role. If he seemed familiar in that kdrama remake of Les Liasions Dangerous, it’s because he played the flower shop owner and second lead in Viki’s Dramaworld, as well as several small parts dating back to Shut Up Flower Boy Band. In Tempted he deftly portrays a young man who for the first time must consider the morality of his actions. For the rich unhappy Kwon Si Hyun, just wanting something used to be reason enough to have it. It didn’t matter who he hurt. Yet love prompts Kwon to redefine his priorities and consider the error of his ways. 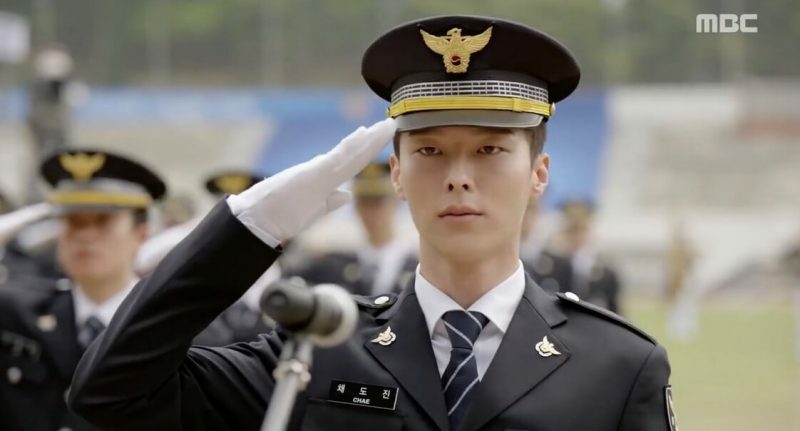 Jang Ki Yong first appeared on the drama scene in 2013, when he had not one, but three drama roles, appearing in It’s Okay, That’s Love, The Greatest Marriage, and Schoolgirl Detectives. But it wasn’t until his role as the loan shark thug Lee Kwang Il in My Mister that his acting prompted strong reactions. His My Mister character was so detached that he viciously beat up the frail heroine, played by IU, even though he secretly liked her, causing viewers to both revile and pity him. In Come and Hug Me, he is no longer a villain but a victim, a young man who refuses to let the horrific sins of his father define him. There are layers to his portrayal of Chae Do Jin, who is all the braver for having survived childhood terror. Jung Hae In is another actor that attracted attention for a supporting role in 2017, then graduated to a starring role in 2018. After he played an affable police officer in While You Were Sleeping, he took the same innate likeability to a whole new level when portraying Seo Joon Hee, prized boyfriend material, in Something in the Rain. One of the highest-rated South Korean dramas in cable television history, Something in the Rain reinterpreted the classic story of two people who are perfectly suited, but are kept apart by a family’s misguided ideas about love and courtship. Jung went into that role being likeable enough, but his convincing job playing the world’s most appealing boyfriend so seduced drama audiences that he wound up topping bias search lists. 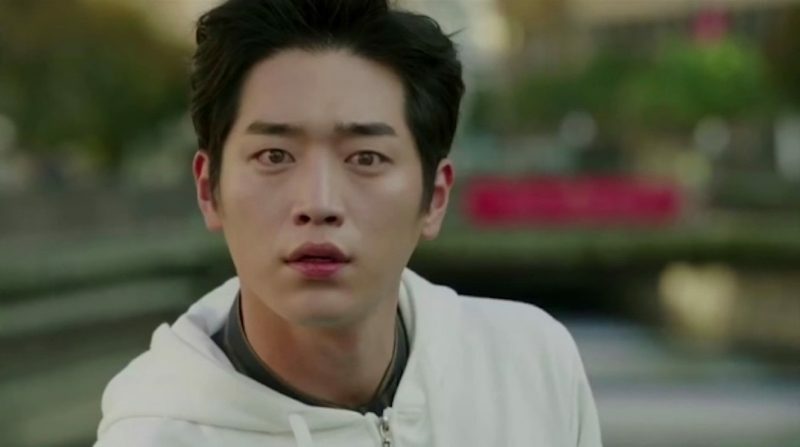 Seo Kang Joon was admittedly very good in Cheese in the Trap, but the sci fi drama Are You Human Too? offered him a much bigger acting challenge. In that drama he played the Jekyll and Hyde roles of Nam Shin and Nam Shin II, two sides of the same personality taken to the extreme. Nam Shin is a bitter, cruel CEO and Nam Shin II the loving, friendly robot created to physically resemble him. Robot Nam was lucky enough to grow up with his mom in a loving home, whereas the real Nam Shin was taken away by his grandfather and raised to be ruthless. The dual role was really an admirable step up for Seo. 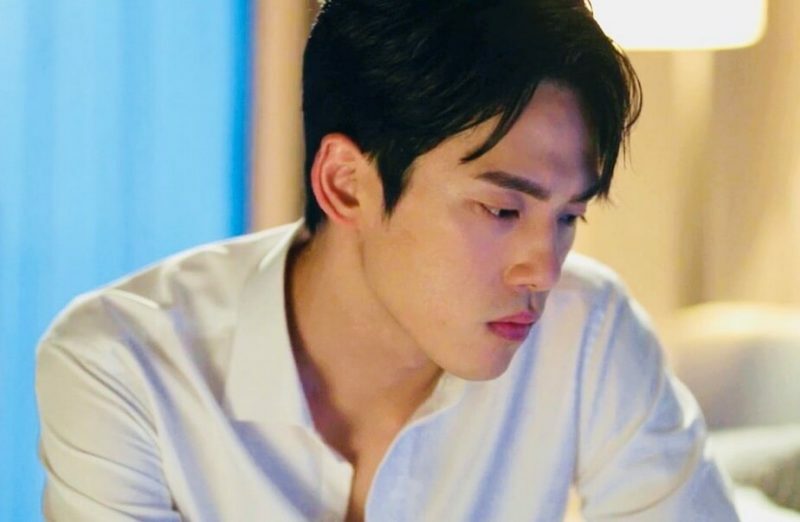 Although health issues prompted Kim Jung Hyun to drop out of the drama, Time, he managed to generate enough dark charisma and repentant energy to propel a so-so plot. Playing a restaurant owner, with only limited time to live, he created a convincing picture of a man grasping at straws, trying in a few short weeks to figure out life’s true priorities. Kim has acted for a while, appearing as Gong Hyo Jin’s little brother in the drama Don’t Dare to Dream, and in the dramas The Rebel, School 2017 and Welcome to Waikiki. His appearance in Time was not as long as it should have been, but it left an impression. Hopefully he’ll soon be well enough to try another leading role. 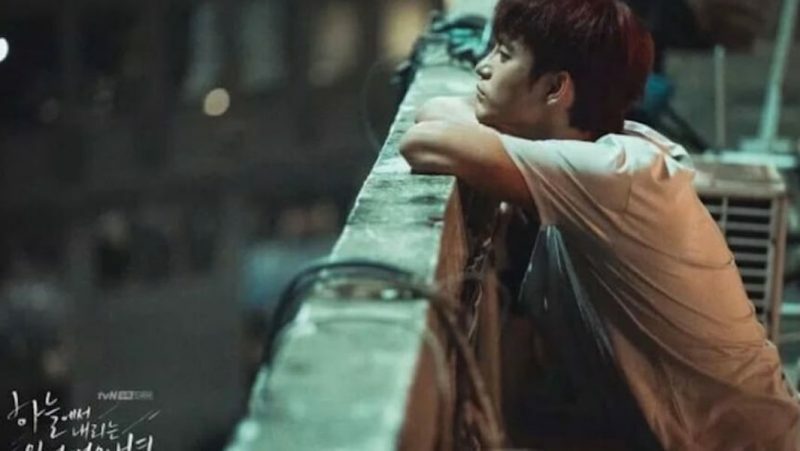 For me, the biggest breakout star of the year is Seo In Guk. Seo is a master at whatever he tries, whether it’s winning the talent show Superstar K as a singer, becoming adept in martial arts or acting. Before The Smile Has Left Your Eyes, he was a funny, appealing second lead in the romcom King of Savvy and the horror romcom The Master’s Sun, but playing the bad boy Kim Moo Young took his acting to another level. Seo has played a bad guy before but his nuanced portrait of Kim Moo Young showed viewers not only Kim’s tough, jaded exterior but the frightened little boy his character once was. Envisioning that little boy allows viewers to forgive Kim Moo Young some of his baddest behavior. With such a nuanced performance, it’s hard to tell how bad he really is. Did you see any of these dramas? Do you agree? Which were your standout newbie actors?